Every year high school guidance counselors all over America advise their seniors to come up with a balanced list of reach, match, and safety schools as they begin their college applications. Reach-match-safety: that’s the mantra. What’s it mean? A “match” is a school that’s likely to accept you because its admissions profile lines up with your scores, GPA, and résumé. A “reach” is your dream school, where you have a chance of acceptance, even if only a sliver. At a “safety” you comfortably exceed the minimal standards for admission and are fairly sure to be accepted. The number of schools you’ll apply to depends on your budget (application fees can be expensive) and your taste for essay-writing. Reach-match-safety is a practical strategy that allows you to keep your dreams afloat while also insuring that you’ll have some viable options come April. Unless you’re applying to conservatories. When an audition is the basis for the admission decision, all bets are off. There’s no such thing as a safety school. And there are no matches for conservatory applicants, either—unless you count yourself among the elite of the elite (that is, you’re already racking up trophies on international competition circuit). Or unless a faculty member has promised to accept you (and you know for certain that the teacher’s verbal commitment will be recognized by the admissions office). In other words, for conservatory kids, every application is a reach. So, how many applications should you do? Five, ten, a dozen? When my youngest daughter was looking at BFA conservatories for acting, we learned that it was not uncommon for prospective theater students to apply to fifteen or more programs. Fifteen applications! But that crazy-sounding number begins to makes sense when you consider that many theater programs accept about a dozen students each year, often with a higher ratio of males to females to reflect the gender distribution in the acting industry. The ratio of acceptance to elite theater programs is less than 1%. Yikes. At music conservatories, acceptance rates are higher. Or are they? Numbers can be deceiving. Anyone, including you and me, can decide to throw a hat in the ring and audition for a conservatory theater program. All that’s required is a high school diploma and the ability to memorize a few one-minute monologues. Of course, the cream rises to the top. Fat chance you and I would accepted to Carnegie Mellon or Juilliard for acting, but we and thousands of other last-minute wannabes will help to bulk up those numbers. By contrast, in order to audition for a spot in a violin performance program, you actually need to be able play the violin, and at a fairly high level. The field you are competing against in music is self-selected and highly trained. Violin auditioners must prepare a complex program, 45-minutes or longer, usually including Bach, Paganini, and a Romantic or modern concerto. And don’t forget your sonata and that post-1939 piece. As for wear-and-tear on your health, luggage, and wallet: the vast majority of theater auditions take place at The Unifieds. These regional auditions make travel far less complicated than for music conservatory auditions, which are generally held on site, and can require cross-country airplane trips. Yes, sometimes music conservatories offer regional auditions. But offsite music auditions are generally proctored by admissions staff who videotape the applicant's entire program for later review by the faculty panel. If you audition offsite, you will likely need to play most or all of your prepared program and you will lose the benefit of playing before a live faculty panel. Consider, also, that the faculty will tend to be more engaged by the students they hear in person and can interact with. Serious music applicants are generally discouraged from taking regional auditions, except as a last resort. So, by comparison to music auditions, those fifteen theater auditions are a cakewalk. Most undergraduate violin performance applicants aim to do five to seven auditions during their senior year of high school. If you’re an elite player and/or have a verbal commitment from a teacher in advance of auditioning, you can comfortably do fewer. (Some elite players I know did three auditions; a few did only one. But many still put themselves through a series of seven or eight auditions, perhaps in part because they were seeking an optimal financial aid package, which will be the topic of a future column.) Some students apply to fewer conservatories because they are also applying to BA programs where they would pursue an academic degrees with music on the side. Once you've decided how many auditions you hope to do, consider making a few extra applications to allow for the possibility that you may not pass the pre-screening at every conservatory. In this process, there are no guarantees and results can be unpredictable at any stage. I know of students who were finalists at Curtis yet did not pass the pre-screen at conservatories with a reputation of being far less competitive. If you are successful with all of your pre-screens, you can always cancel a few of the auditions later. 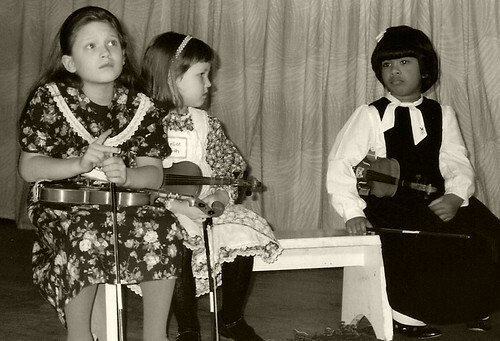 When my violin-playing daughter was in 11th grade, she and her teacher discussed plans for her senior-year auditions. My feeling was that it would be a smart idea for her to audition early at our local state-supported university (which has a decent music conservatory.) I thought it would be a good practice audition, and as close as she would be able to get to having a musical and financial safety. But my daughter’s teacher advised her to audition only for her "dream" teachers. Aim high, was the advice, and if she didn’t like the results of her auditions, she could take a gap year and try again. At seventeen, my daughter was keen to follow her teacher’s prescription to the letter, but it was still difficult for her to winnow down a list—there are a lot of great teachers and conservatories out there. It seemed that every time she culled an application from the list, a possible future was cut off. That winter my daughter weathered her way (literally, as there were multiple blizzards to contend with) through seven live auditions all over the country. It was an exhausting, sometimes harrowing, sometimes heartbreaking adventure. In the end, just as her teacher had predicted, she ended up at one of dream schools with her dream teacher. Does it work out this way for everybody? Personally, I cringe whenever I hear that old bromide “everyone ends up where they’re supposed to be.” Not so, and an insult to the talented, hard-working applicants who, through some combination of bad luck and circumstance, draw snake-eyes despite their best efforts. Or to those who land where they thought they wanted to be, only to find that their dream school is a bad fit. For now, try a modified version of reach-match-safety. Reach for what you think are your ideal teachers and schools. Match your wits against fate: cast a net wide enough to compensate for inevitable problems: the flu, the blizzard, the fallen soundpost, the missed flight, Paganini fiasco. And for safety's sake, have a Plan B worked out in advance, something that you can visualize and can live with: a gap year to prepare for further auditions, an academic college with private lessons on the side, a post-graduate year at an arts-intenstive boarding school, a year of service, a year abroad. Plan B will help relieve the pressure during your auditions, however many you decide to do.